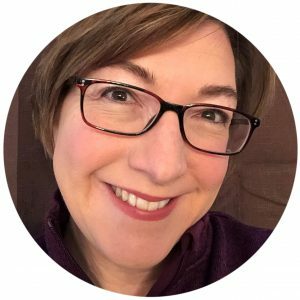 Beth L. Buelow, PCC, is a Professional Certified Coach, author, speaker, mediator, and facilitator with more than a decade of coaching and consulting experience. Prior to starting her own business, she was a nonprofit professional, with roles ranging from fundraising to marketing to grant-making. It was in her role as a foundation Program Officer that she fully recognized the importance of collaborative models and the power of the coaching paradigm. She draws on a range of frameworks in her coaching and facilitation work, including mediation and conflict management, voice dialog, appreciative inquiry, narrative coaching, non-violent communication, improv, and the work of Parker Palmer, Edgar Schein, and other personal growth leaders. Her podcast, “How Can I Say This…“, launched in September 2018 and reaches an international audience of listeners in 44 countries. Since 2010, she’s been best known as The Introvert Entrepreneur, with a book, podcast, and Facebook community of the same name. Beth’s formal education was in music performance (here’s a short “Alumni Spotlight” interview) and arts administration. Even though she’s not actively playing anymore, music still is part of her identity and everyday life. Her modes of self-expression include public speaking on topics she cares about; writing solid non-fiction, so-so poetry, and substandard fiction; botanical doodling and drawing mandalas; and achieving flow whenever she has a camera in her hand. She believes courageous self-expression – whether it’s speaking up and out about something you believe in, making art and sharing it with the world, or creating something out of nothing – is essential to being fully happy and fully human. Beth is the author of The Introvert Entrepreneur: Amplify Your Strengths and Create Success on Your Own Terms (Penguin Random House, Nov 2015), which was named one of the 100 Best Business Books of 2015 by Inc.com. She’s contributed to articles in The Wall Street Journal, Success Magazine, Inc, Entrepreneur, The Telegraph, Time, and Psychology Today, among others. She is credentialed by the International Coach Federation (ICF) and serves as the Education and Development Chair on the Board of Directors for the ICF-Michigan chapter. She volunteers at Mediation & Restorative Services in her home city of Muskegon, MI. She also serves on the board of C3: West Michigan’s Inclusive Spiritual Connection, and as a mentor with the Cook Leadership Academy at Grand Valley State University. Beth has enjoyed sharing her message that “Success is an Inside Job!” with numerous organizations and corporations, including the ICF, Boeing, Starbucks, Seattle University, MarketingProfs University, American Marketing Association, Association of Financial Planners, The Rainier Club, The Bellevue Club, Peterson Sullivan, Puget Sound Business Journal, eWomenNetworking, and Ignite Seattle, along with dozens of other networking groups, service clubs, and private companies.